Mental disorders such as anxiety, depression, and fatigue are symptoms of traumatic brain injury and can sometimes interfere with the healing process. After a traumatic brain injury, the mind and the body struggle to work together in unison like they once did. The actions the brain tells the body to do are less efficient and slower. Mindfulness meditation can help strengthen the connection between the mind and the body. Mindfulness meditation is mentally focusing on being in the present moment. It teaches how to be aware of our feelings, thoughts, and emotions. When the mind and body are quiet, and the attention is focused on breathing, everything else disappears. That includes our pain, anxiety, depression, and judgments. Health experts believe this is a powerful technique that can help ease stress and can even create neuroplasticity, the brain's ability to restructure itself by forming new neural connections throughout life. Meditation can positively affect someone’s ability to maintain focused attention and cognitive proficiency. Mindfulness practice can significantly reduce anxiety and fatigue. It can also improve memory and the ability to manage time, including making decisions, problem-solving and organizing tasks. Guided meditation techniques can help with some characteristics of depression. Long-term practice of meditation can improve overall mood, including the ability to accept emotional states, awareness at the moment, and the ability to handle negative emotions. Mindfulness-based stress reduction is a group therapy program designed to treat people who are struggling with both physical and mental illness and life’s difficulties. The program was created by an American professor, Jon Kabat-Zinn in the late 1970s. He combined a modern scientific-based viewpoint to traditional Buddhist ideologies of meditation and mindfulness and created an adaptable approach to help reduce stress. MBSR was initially developed to help hospital patients. However, it has been widely accepted and used by a wide range of people. More than 24,000 people participated in the program when it debuted in 1979. Being mindful means being in the present moment. While mindfulness is the fundamental mechanism that permits MBSR to work, the composition of the program also plays a huge role. The program is about eight to ten weeks with 2.5-hour sessions a week and is taught in a group of 10 to 40 participants. The instructors teach exercises and topics that are focused on reaching mindfulness through yoga, meditation and body scans. Yoga: is a posture-based exercise which combines mental and physical practices. 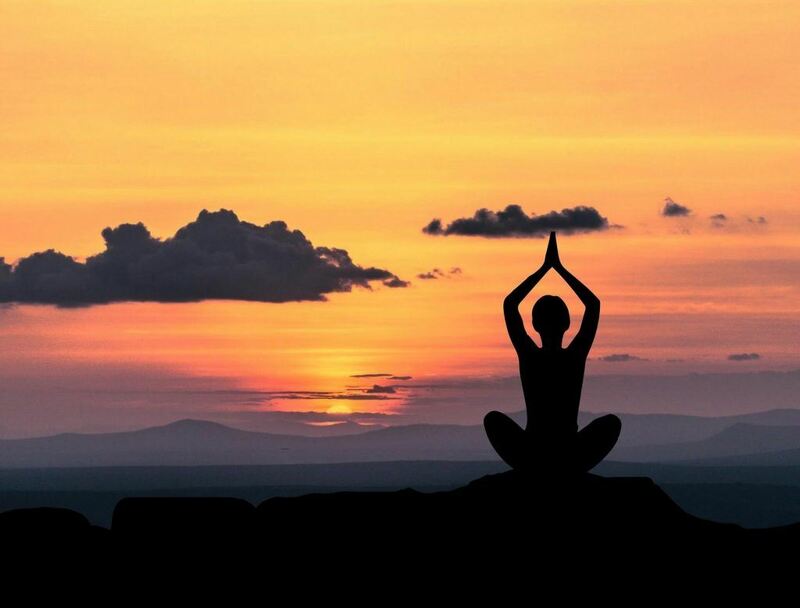 Meditation: involves exploring your own consciousness through focused attention. Body Scans: using meditation while focusing on certain body parts and experiencing your thoughts in relations to the feeling and location of the body. The ability of someone with a traumatic brain injury to benefit from mindfulness meditation may depend on the severity and type of the brain injury. The extent of the injury and location can also impact an individual’s ability to meditate. Those with mild TBI said they have seen improvements in memory, regulation of attention and quality of life after practicing mindfulness meditation for 10 to 12 weeks. It is also important to note that most successful studies modified the MBSR program specifically for TBI patients by concentrating on attention skills, awareness, and embracing an open-minded attitude. Other standard meditation training might not be as successful. More non-traditional treatments, such as mindfulness meditation are being used in addition to or instead of traditional medicine. More medicine centers throughout the nation are opening in traditional hospitals, and more research studies are being performed. Scientists also meet with the Dalai Lama every two years at the Mind Life Conference to compare notes on how the brain works with meditation. Whenever you need to bring yourself into awareness of the present moment, practice this quick three-step meditation. Minute One - Awareness: Sit up straight in a chair with your feet resting lightly on the floor. Close your eyes and bring your awareness to your inner experience by concentrating on what you are experiencing, your feelings and the thoughts that are going through your mind. Minute Two - Gathering: Focus on your breathing. Feel your belly move as the breath flows in and out. Follow the breath all the way in and all the way out, using the breath to position yourself in the present moment. Minute Three - Expanding: Breath into your whole body, so you are expanding your awareness. Experience your body as a whole. Feel your full body rise and fall with each inhalation and exhalation as you breathe in and out. Watch the video below for a guided mindfulness meditation session. This 15-minute video is aimed at healing brain trauma by taking the listeners to a place of recovery and tranquility. I’m Ed Smith, a traumatic brain injury lawyer in San Francisco. Mindfulness meditation teaches how to be aware of our emotions, feelings, and thoughts. Those with mild traumatic brain injuries have seen improvements after regularly practicing mindfulness meditation. If you or someone you love has suffered a traumatic brain injury in an accident, please call me at (415) 805-7284 or (800) 404-5400 for my free, friendly and compassionate advice. I am pleased to be a member of the Million Dollar Advocates Forum. The members in this group are injury lawyers who have been recognized nationwide for settling cases or winning verdicts of more than a million dollars for a client. I am also recognized as a member of the Top One Percent, in the National Association of Distinguished Counsel. Some of our past cases can be seen on our verdicts/settlements page. We’ve had the honor of working with some great clients in the past. See what they are saying about our practice on Avvo, Yelp, and Google. Photo by mohamed_hassan on Pixabay.com, Erik Brolin on Unsplash.